Ray: We have been quiet at this blog. We hope at some point to increase our activity. I thought I would post a radio show that was aired on Blog Talk radio in 2010. Brad and I met in 2008 when I ran in the Canadian Federal Election as a candidate for the Newmarket-Aurora riding, representing the Christian Heritage Party of Canada. Brad interviewed me on a local Newmarket Radio station and on Internet radio several times over the following two years. (We have lost our archives of most of these interviews.) It was after this last radio show that Brad and I began to talk about sharing a blog site to present some of the things that we discussed on his show. We spoke about a book which tells the truth about global warming in that program by an author named Glenn McKerron. We hope to have Glenn on our YouTube show soon to revisit the topic of Global Warming. 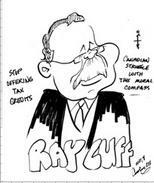 RAY: Brad and I piloted this show in the spring of 2012. Now going into the fall season we hope to pick up where we left off. This week we talked about the topic of Suffering. There is more to say about suffering. For example I find it very interesting that God who allows us to suffer also allowed His only Begotten Son to suffer as His solution to ending our “eternal suffering”. Suffering began when sin entered into the world. Therefore the Son of God had to suffer in order to remove the penalty of sin from us. We would like to know what you think about suffering. Let us know how you have chosen to respond to it in your life. The 1986 Honda Goldwing Aspencade. We said on the program we would incude a clip of the Goldwng motorcycle I picked up ths summer. I took it to a show and thought I’d take some pictures there. The show was rained out but there was a great concert put on by a one man band local talent “Bob Hawkins”. Those of you that ride motorcycles: Be Safe. Some would consider that at an oxymoron statement to make of those that ride two wheels. The invitation to know Christ regards your eternal safety. I wish you that safety as well. RAY: This week Brad and I discussed two topics but only our second topic was recorded properly. So we have a short clip this time. We will redo the first topic which was “Why does God Allow suffering?” on a future date. This clip is very short but we hope it answers some questions about the topic of Repentance and Forgiveness within the framework of Justice that is required. We didn’t say it in the clip but it is precisely God’s requirement for justice and retribution that made it necessary for Him to come to earth in the person of the Lord Jesus Christ and to die on a cross in order to allow us a route for Repentance and Forgiveness. RAY: One of the ways that God reveals Himself is by His written Prophetic Word which we discussed on a previous program. Another way that God reveals Himself is by the Manifestation of the Trinity Father, Son and Holy Spriit in the Christians Life. This week we decided to discuss this topic. Most will say that this is not proof that God exists. But if you think about it, if God does exist, does it not make sense that He would choose to reveal Himself in some way to His creation. Many say God is unknowable. Perhaps they do not Know Him but He claims that He is knowable. This week we are discussing what it is to Know God in your life. In our first segmant we start out with a discussion about the promotion of the Christian faith in public places. Then we devote segments 1b, 2 and 3 to the main topic “Changed Lives”. Brad called Adam Benton Adam Bethune in this program by mistake. He mentioned that we would like to have Adam join us in a future program. Forgive us for giving your name incorrectly Adam. Segment 2 – Paul Smith’s testimony about His life change. Segment 3 – Lisette Smith’s testimony about Her life change. RAY: I added the following article from another blog site becasue it relates to handing out tracts and it points out that Chrsitians that do things in a Loving and joyful manner: In a manner which manifests Christ to others are able to communicate God effectively. Ones that do things in a less friendly manner do not make friends but instead make enemies. King Solomon once said that One that wishes to make a friend must show himself friendly. The New Testament says that the Joy of the Lord is our strength. Unjoyful, Bitter Christians are not of much use for our Lord or to those they wish to reach. The message of the tracts that Christians joyfully hand out however must still tell the truth. If A tract talks about heaven it must by necessity point out that there is a hell. If it talks about Light it must refer to darkness. This year, the Arab International Festival in Dearborn, Michigan was again targeted by two types of Christians. And the news media picked up both stories. In one, Christian “protesters” charged in waving confronting signs and placards and carrying a pig’s head on a pole. The other was Tim Berends, a six-foot-tall guy wearing a warm smile and a I-(heart)-Muslims T-shirt. While the “protesters” were ducking rocks and bottles, Tim quietly moved through the crowds handing out Chick tracts to booth keepers and spectators alike. By the end of the 3-day festival, that attracted over 300,000 attendees, he had salted 4000 copies of the tract, Unforgiven into the hands of mostly Muslim people. The T-shirt, with “John 9:35-38” on the back, attracted much attention with some Muslims asking where they could get one. Tim would walk against the flow greeting people with a smile and the Arab greeting, “As-Salamu Alaykum (pronounced, aah suh laah mu aah lay kum) which means “peace be upon you” and hand them a tract. Often a family would approach and the father would ignore Tim but, behind her husband’s back, the wife would reach for the tract. One young lady demanded why he was there trying to cram the Bible down their throat. He replied: “I truly believe in heaven and I truly believe in hell. I wouldn’t be here if I didn’t believe that Jesus said, ‘I am the way, the truth, and the life: no man cometh to the Father but by me.’ But I love Muslims and want them to come to trust Jesus.” This “soft answer” turned away her “wrath” and she wandered off. BRAD: Don’t we ever get enough of this celebrity circus surrounding Tom Cruise and Kate Holmes! 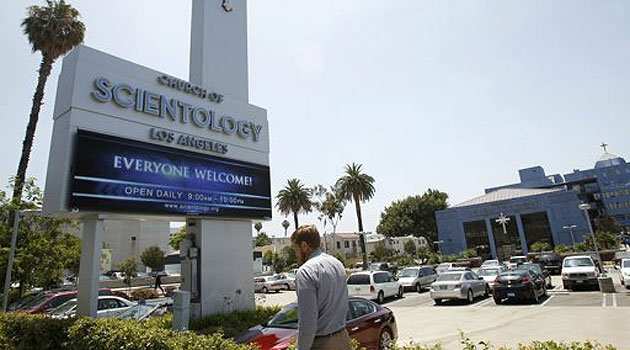 According to this article the Scientologists are leaving the so called church because of this celebrity break up! Whoever said that Scientology was a religion anyways and its congregation were mind controlled androids?. Lets give the church back to preachers of the gospel who have backgrounds in theology and scholar teachings and not follow the ramblings of a comatose ex science fiction writer! The Katie Holmes-Tom Cruise split apparently has had a negative effect on the Church of Scientology, and a faction of the church is calling for members to take action and silence naysayers. The campaign also comes as an entire mission for the church has defected from under the leadership of David Miscavige, reports the Village Voice. Leader Dani Lemberger of Israel’s Dror Center, in Haifa, told Voice blogger Tony Ortega that his mission is one of the few that are still growing and announced that it is rejecting Miscavige’s leadership. It is the “first time in memory” that an entire mission has announced that it is leaving the church, Ortega said. RAY: The Bible describes a Church as a gathering of people unto the Lord Jesus Christ. There are many groups which experience a mass exodus that are not churches according to the biblical definition of a church. 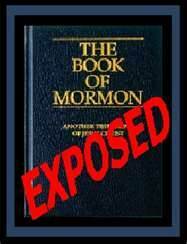 (Last week we were mentioning a mass exodus from the Mormon Church which also is not a true church). I am not particularly glad when I hear about a mass exodus of people. However, I would be glad if I heard the people were doing so in order to join the true church of the Lord Jesus Christ. Religious Doctrine Whom Do You Follow? BRAD: In this ever changing landscape of religious values, there is a lot of room for interpretations of the bible. How many versions are there and which one do you believe you should follow with the most accurate translation? We can start with the Old Testament, work our way into the New Testament, New International Version, King James Version, and a few more versions such as the New American Bible. The other i would like to call break off religions, such as the Jehovah Witness also have their very own New World Translation version of the Bible. As a matter of fact, in 1913 Baptist minister Rev. Ross of the James Street Baptist Church of Hamilton accused Watchtower founder Charles Taze Russell of preaching destructive doctrines which he did not have the credentials as a theologian or a scholar to preach to the newly formed Jehovah Witness. Whether it is Scientology, the Raelian movement whom believe that soon we will be visited by entities from another galaxy, the Mormons, to just name a few, people succumb to the doctrine preached by the head of their chosen religious movement. With religion recently getting a bad name and people not flocking to churches like they once did, as well as churches going up on the auction block, no wonder people are losing their religious values! We must retain our core values in not only religion, but in humanity as well and not let ourselves drown in the quicksand of deceit, lies and propaganda! The way i look at it, the leaders of tomorrow and not coming from today, and it can be seen all around us. With lack of communication, and no personal contact with people other than smartphones and texting, the youth of today somehow to me, are not going to lead us into the future. Without personal contact and the ability to act independently, as well as no prior interest on what the country of Canada was based on, we are in a quagmire with our youth. With so much violence in the media and bombarded by pics and news of Justin Beiber, John Travolta, Brad Pitt and so on, are people really interested in religion? Somehow the leaders of Christianity have to develop a plan to get the masses back into the pews, and for people to start donating a small piece to the resurrection of religion once again! RAY: Man was made with a God given void that he must fill. Pascal is the originator of that idea and I think he is right. Man looks for a religion to follow. God provides one that leads to eternal life. Man tends toward a religion that will lead to eternal regret according to the prophet Daniel. Technically according to the Bible everyone will exist forever but the quality of existance is described as one of either eternal life or eternal regret. Man is so religious that even in the attempt to deny the religion that God has laid out he makes a religion out of science when he puts his trust in Evolution and its closely related Secular Humanism beliefs. Even the modern belief in Psychology as offering answers is a religion that people follow. Atheists are also fighting to be recognized as a religion and they evangelize aggressively. And all the various cults such as Islam, Russelism, Mormanism, Scientology are all attempts to form a religion which is in oposition to the faith that God reveals about Himself which will lead to the everlasting life spoken of by the Prophet Daniel. You raise a good point that there are many versions of the English Bible to choose from. There are actually over 160 English versions to choose from currently. However there is no point in discussing which Bible you should read if you don’t think you should read any version. That is where many people are at today. In our upcomming program we should discuss why we should read the Bible in the first place and why it is a book that is true. What makes it different from every other book? I hope that we will in future programs also start to examine the quesiton of which version of the English Bible should be avoided and which ones are the ones you should be using. I would like to encourage our readers to speak up and let us know what they are thinking. Please post your comments on this post as to what kinds of topics you would like to see us cover related to our theme of “Truth is what matters”.